I hope you had a lovely Easter and that you and your family and friends had some time together. Minister of State for the OPW, Kevin ‘Boxer’ Moran, has welcomed the completion of the underpass at Montree, Athlone as part of the €4m greenway project. The new underpass will form part of the Greenway’s extension from the White Gates on the Ballymahon Road to the banks of the River Shannon at Athlone Marina. 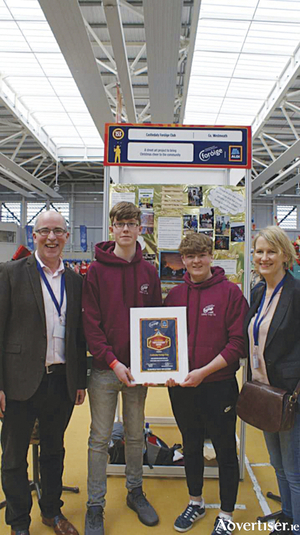 Three projects from Westmeath achieved due recognition at the recent Aldi Foróige Youth Citizenship awards ceremony which took place in the National Indoor Arena, Blanchardstown. The issue of motor safety along a major route has been highlighted by inaugural South Roscommon Athlone electoral area independent candidate, Donal Kilduff. Local election candidate, Independent Councillor Paul Hogan, has welcomed the update from Minister Paschal Donoghue in relation to issues concerning remuneration, recruiting and retaining personnel in the Defence Forces. “I recently tabled a motion requesting the Minister to address issues concerning remuneration, the retention and recruitment of personnel in the Defence Forces. I am particularly concerned that the current number of Defence Forces personnel is at 8,320. This is far below the recommended 9,500 personnel identified in the White Paper and 20 percent below the 10,500 personnel that previously existed. I highlighted issues concerning the haemorrhaging of personnel due to remuneration issues,” Cllr. Hogan noted. Lough Ree RNLI is asking the public to support ‘Mayday’, the charity’s annual fundraising campaign. The appeal comes as the RNLI announced their rescue figures for 2018, which noted that the lifeboat crew on Lough Ree in Dromineer launched 72 times and assisted 188 people on the lough, making it one of the busiest stations in Ireland. Cathoirleach of Westmeath County Council and Athlone Municipal District incumbent, Cllr. John Dolan, hosted a meeting in Athlone on Friday last with the Vice President of the European Parliament, Mairead McGuinness, to discuss Brexit and in particular its effect on the Irish agriculture industry. Local Independent Councillor, Michael O’Brien, has called on the Athlone Municipal District to provide a digital speed sign on the Dublin road in Moate. Cllr. O’Brien was speaking about his proposal after tabling a motion at the April meeting of Athlone Municipal District. 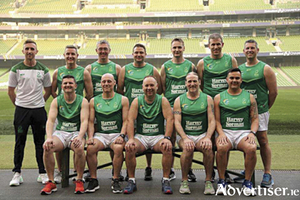 Three Buccaneers touch rugby players have departed for Malaysia this week ahead of the World Cup after being named in the Ireland Mens’ over 40s squad. Rory Silke, Nigel (Jiang Han) So and Denis O’Connor have been in tournament preparation mode for six months and jetted east with their playing colleagues on Wednesday. While continuing his local election canvass, Athlone Sinn Féin candidate, Padraig Hegarty has noted a common theme emerging pertaining to the treatment of carers. “We have an ageing population and with a move towards more community care style models, the need for more and more carers will soon overwhelm the state but the current model is not working. 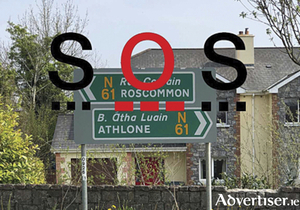 In recent weeks, the issue has been raised on the Athlone doorsteps countless times. Currently, there are family members caring for loved ones, but a plethora of these carers are not entitled to the benefits of a medical card because they are marginally over the threshold of income to avail of such a servicw,” Padraig remarked. 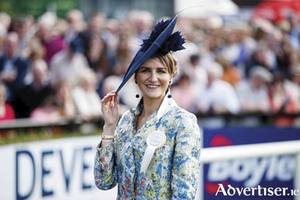 Athlone native, Paula Gannon, had an Easter weekend to remember when she was awarded the ‘Most Stylish Lady’ at the Boylesports Irish Grand National at Fairyhouse Racecourse.